There are many reasons to be skeptical that anything of value can result from trying to project Hegel into the future like this. After all, anyone who has heard anything about Hegel has probably heard that he said two things: that philosophy was its own time understood in thought, and some summary of the following remarks. If one considers the history of modernist art after Hegel, there is something both ominously prophetic and yet clearly hasty about Hegel’s remarks. The tone of pessimism in the remark can seem to us more like something simply obvious. It seems trivially true that the fine arts do not and cannot matter to us as they mattered in the tragic festivals of ancient Athens or in religious practices or in the dreams of the Frühromantik. We have invested our hopes in science, technology, medicine, market capitalism, and, to some lingering extent, in religion, but certainly not in art. 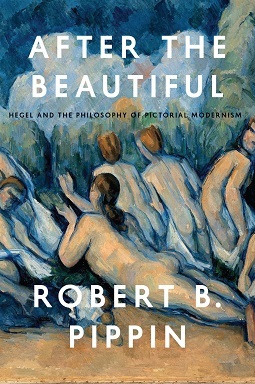 And Hegel had not even anticipated two other threats to the vitality and autonomy of art: that an art-buying leisure class of the bourgeoisie would become the principal patrons of the arts, nor did he anticipate how mass consumer societies would radically alter the conditions for art’s production and appreciation. Yet, on the other hand, the revolutionary vitality of the modernist moment itself and the continuing vitality of art forms like film and photography are evidence enough that art has not become a thing of the past. However, we can begin to see the opening to answer our Hegelian question about modernism if we recall that this claim is not an isolated one in Hegel’s books and lectures. After all, Hegel also did not believe that there was any world-historical work for philosophy to do; its content was also its past, now understood in the right way within a comprehensive philosophical system. And there are to be no world-historical developments in religion either, beyond the doctrinally thin, humanist Protestantism Hegel preferred. And the institutions of modern “ethical life” (Sittlichkeit), the distinction between the state and civil society and the basic structures of modern civil society, also represent for him the achievement of reconciled relations of genuinely mutual recognitional status. That, Hegel believes what he does about the finality of the achievement of romantic art because he is convinced of all these other claims as well, not because of some internal aesthetic feature of late romantic art that required such a reduced significance. (Indeed, according to Hegel, late romantic art, however much it represents the self-transcendence of art, still enacts such transcendence as art.) Paradigmatically he believed that the basic structure of modern society had become at least incipiently rational, and rational in a way that no longer required a distinctly sensible-affective comprehension. Romantic art had already embodied the fact that we had “liberated” ourselves from our natural home and successfully created another. That modern shape of spirit (Gestalt des Geistes) was a world of freedom realized, or reconciled social relations of persons who are free because they actually stand in relations of at least institutionally secured mutuality of recognition. We have reached a form of self- and other-understanding where there is nothing substantial left to be “worked out,” no fundamental residual irrationality in the way we make claims on each other and about the world. In a word—and I shall simply assume that this does not need to be argued—this is all clearly false as a claim about European modernity in the first third of the nineteenth century, and its being false means that the particular failure and partial success of the modern attempt at the realization of freedom would still require, in Hegel’s own terms, an attempt at the sort of understanding just referred to: an objective embodiment and self-recognition, or the world of art. Everything Hegel wants to say about what we are left with in our “artistic situation” historically follows from this quite sweeping claim about rationality and so freedom realized. The realization that no reconciliation has been achieved (but that Hegel is fundamentally right about the nature of art) would mean an embodiment both of still-unresolved dualities (required or unavoidable but incompatible commitments, let us say as a kind of shorthand) and of some presentiment of their overcoming, but in an aesthetic form responsive to a historical situation Hegel had not properly conceptualized. It should not be surprising, in other words, if there is a connection between Hegel’s account of our sense-making practices with respect to the products of Geist in general (human doings and makings) and his account of the distinct sort of intelligibility required of aesthetic objects. And since the core of that general account involves a social theory of meaning (the meaning of intentional action, for example, embodied in bodily movements), it will not be surprising if that account is also of continuing relevance to the social dimensions of aesthetic meaning, especially with respect to such things as the relation to the beholder presumed in different ways at different times in visual art; the interpretability of the human actions depicted in paintings; and the artwork itself understood as the result of the intentional action of the painter. And all this is of relevance only as historically inflected, for a community at a time. So my hypothesis is that if one can understand the persistence of the kind of conflicting commitments in intellectual, cultural, and political life required by rapidly modernizing European societies, the kind Hegel thought had been overcome, one will be in a better position to begin to understand the aesthetic experimentation that seemed to begin with Manet. Hegel, in other words, may have provided the resources for an approach to modernism and a way of understanding its relation to the self-knowledge problem without having understood the potential (and limitations) of his own approach. He may be the theorist of modernism, malgré lui and avant la lettre. To read more about After the Beautiful, click here.